This summer, explore the East End’s hotspots, where you will find some of the finest restaurants, boutiques, and oceanfront resorts. Here are the highlights on where to stay, where to eat, and what to do this summer. 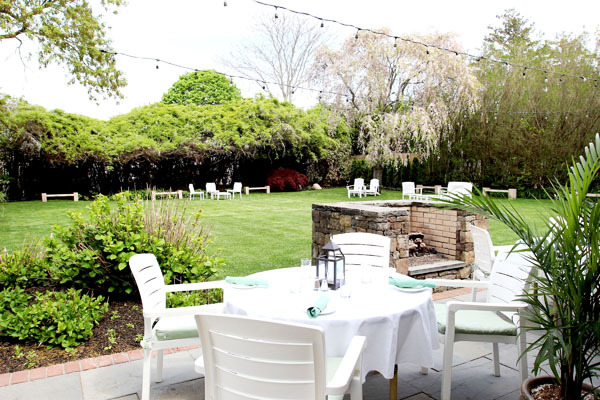 With the most magnificent beaches, elegant estates, fabulous shops, and recreational opportunities nearby, the Southampton Inn is the perfect base for your Hamptons adventures. The luxurious Inn also offers bike rentals, a heated pool, and a shuttle bus to the highly-rated Coopers Beach which is only a mere mile away. Great for couples, honeymooners and not just kid-friendly but pet-friendly also, the Southampton Inn has won numerous awards including “Best Breakfast,” “Best Hotel,” and “Best Wedding Location,” Southampton Inn is a warm and welcoming haven with an exemplary reputation that is richly deserved. Celebrate the art of pure relaxation, indulge in a romantic rendezvous, or enjoy precious time with the entire. New for Summer 2018 is The Southampton Inn’s new restaurant, Claude’s is open for Lunch and Dinner, seven days a week featuring the delicious home cooked menu selections of its “Best” breakfast, lunch and light bites such as the Jobs Lane French Toast. Situated outside in the beautifully planted courtyards and pool patios, as well of course “Inn-side” Offers the prettiest outdoor dining in Southampton. Try Claude’s Cabaret – an exclusive prix fixe dinner followed by live performance every Thursday (June 21st to August 24th) featuring Pianist Konstantin Soukhovetski. On the move this summer: try Carry-Out Claude’s and enjoy the free Wednesday concerts this summer in Agawam Park starting in July. Do not miss the exciting new menu specials and entertainment at Long Island’s most vibrant, social and delicious destinations – Union Cantina, the Hamptons only authentic modern Mexican restaurant. This popular eatery, from Southampton Social Club owners Ian Duke and David Hilty, with award-winning Executive Chef Scott Kampf, who has been featured on Food Network’s Iron Chefs of America continue to deliver innovative Mexican cuisine. Behind the restaurant is the exclusive 400 Rabbits Tequila Bar, reminiscent of a prohibition-era speakeasy. Bartenders mix fun favorites for diners that perfectly complement any meal. The tequila bar carries 100+ types of tequila, producing a unique signature cocktail program and an extensive tequila menu consisting of sangrias, punches, and frozen drinks. This Summer 2018 sees new dishes & Cocktails plus a daily calendar including live music and specials and an outdoor bar plus assortment of outdoor games for everyone to partake in. Special events: The U.S Open PAR-TEE with daily golf putting competitions from June 11th – 16th, The FIFA World Cup Soccer starting June 14th, The Cantina Tequila Mixer on July 14th, Our Annual Union Carnivale on August 18th plus other events in-between. Managed by Restaurateur Zach Erdem, 75 main has become a Hamptons summer dining staple and a year-round hotspot. Erdem reinvented the Southampton eatery, combining the classic style of the Hamptons with the enticing elements of New York City nightlife. The celebrity guests seen dining in recent seasons have included Leonardo di Caprio, Kim Kardashian, Kourtney Kardashian, Khloé Kardashian, Scott Disick, 50 Cent, French Montana and Sarah Jessica Parker. 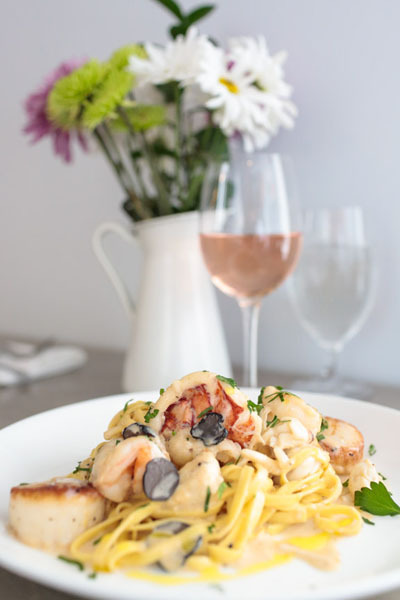 Sotto Sopra has established itself as one of the more coveted restaurants on the East End, known for its frequent celebrity guests, relaxing atmosphere, exceptional service, and fresh, flavorful fare. Enjoy pasta dishes such as the Spaghettini a la Greco with shrimp. Specialty drinks include the Rose Orchid, which blends Death’s Door Gin with St. Germain, prosecco, grapefruit and hibiscus and the South Fork cocktail includes Jameson Irish Whisky blended with mint, cucumber, lime and orange juice. This season, Southampton Social Club sets the standard for a season of dining, drinks and dancing as the pre-eminent fine dining supper club in the Hamptons. Executive Chef Scott Kampf’s “Farm to Table” cuisine and the summer 2018 cocktail program feature many new libations, not to mention a $39.00, Three Course Prix Fixe Dinner will be available on Wednesdays, Thursdays, and Sundays. On a weekly basis, the entertainment will include Live Music and DJ’s performing together creating an undeniably brilliant sound. Forthcoming events this summer 2018 include Pop Country Night on June 28th, and July 26th; the Rose All Day Brunch Party on June 9th and Miami Vice Night with DJ Vinny Vinsane on July 2nd. Plus, SSC will have specials for Memorial Day weekend, the U.S. Open, and so much more! The Evelyn Alexander Wildlife Rescue Center of the Hamptons will celebrate its 12th annual GET WILD Benefit hosted by Joan and Bernard Carl. Notable attendees from last year’s event included: Ginnie Frati, Shelley Berkoski, Liz Brown, Leslie Alexander and Amy Molnar. RAND Luxury is proud to produce a Private, invitation only Charity Brunch and luxury showcase at a private estate in Water Mill in association with Ferrari Maserati of Long Island. On display will cars from Ferrari & Maserati and the opportunity to experience a ride in these fine marques as well as enjoy fine cuisine, champagne & spirits at an elegant private estate. A luxury showcase will display home electronics & decor, aviation, tourism opportunities, fashion and more. For more information, see www.theluxuryreview.com. The 14th Annual Hamptons Happening to benefit the Samuel Waxman Cancer Research Foundation will honor Matt Lambert, Executive Chef and co-owner of Michelin Star restaurant The Musket Room, and Ramy Brook Sharp, Founder & Creative Director of Ramy Brook. The Hamptons Happening will feature over 30 of the top chefs and restaurants in New York City and the Hamptons. For more information see www.waxmancancer.org/Events/Hamptons-Happening. Committed to curing prostate cancer, the Prostate Cancer Foundation is the leading philanthropic organization funding research globally. The gala is a celebration featuring cocktails, dining and special performances at the Parrish Art Museum in Watermill, NY. 100 percent of the funds raised throughout the evening will go to supporting groundbreaking discoveries in cancer research. Last year’s event had a special performance by Kool and the Gang and raised over $3.5 million. For further information on the PCF, please visit www.pcf.org. Get ready for the U.S. Open 2018 at Shinnecock Hills right down the road. 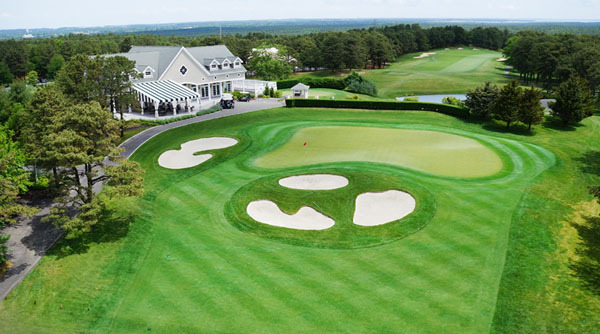 Hampton Hills Golf & Country Club is one of New York’s best kept secrets–and members like it that way – located in the middle of a 2,000-acre in Westhampton Beach. The wooded setting allows members to escape the rush of the city in favor of peaceful competition against a challenging golf course. For more information see www.hamptonhills.com.